Athens Airport accepted the award for its category. 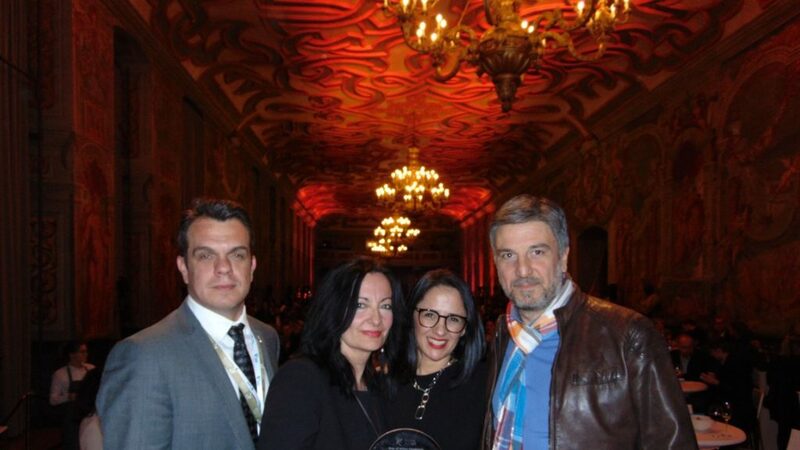 Athens Airport celebrated a victory after scooping the Routes Europe 2019 Marketing Award in Hannover. The Greek gateway beat off competing airports from Belgium, Denmark, Germany, Norway and Russia to take the winning title in the over 20 million annual passenger category. Compliments on Athens’ submission were received from the airline judges on the airport’s impressive 11 per cent rise in traffic in 2018 to more than 24.1 million passengers. The hub secured 62 new routes during last year and welcomed four new airlines. Volotea and Ellinair opened bases, while Ryanair started 21 sectors and Aegean Airlines commenced 15 new routes. 13 carriers also added capacity across 34 routes. Praise was also received for Athens’ incentive scheme, which comprises 13 different elements, and covers any possible type of route development from home-based airlines, LCCs or visiting carriers.